In my last post, I looked at the infamous Memoir Of A Geisha by Arthur Golden. Today, I look at the autobiography of the woman who inspired it all: Mineko Iwasaki. 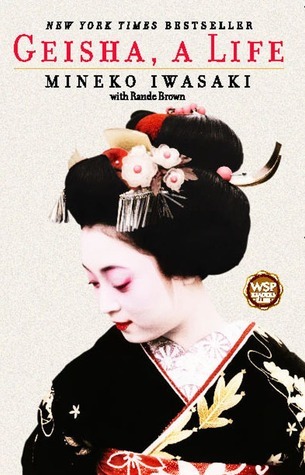 This book provides the Western world with a rare insight into life as a geiko of Gion, through the eyes of someone who once stood at the top of the flower-and-willow world. Karyukai means “the flower and willow world.” Each geisha is like a flower, beautiful in her own way, and like a willow tree, gracious, flexible, and strong. First and foremost, I loved how this book gives us an insight into the lives of geiko (the Kyoto term for geisha) in Gion Kobu, and it goes a long way to dispelling the myths surrounding their profession. Iwasaki revealed the intense training in all the arts, especially of traditional dancing, she underwent as an apprentice. I knew the all geisha and geiko studied hard, but having their day documented gave me a newfound respect for these artists. 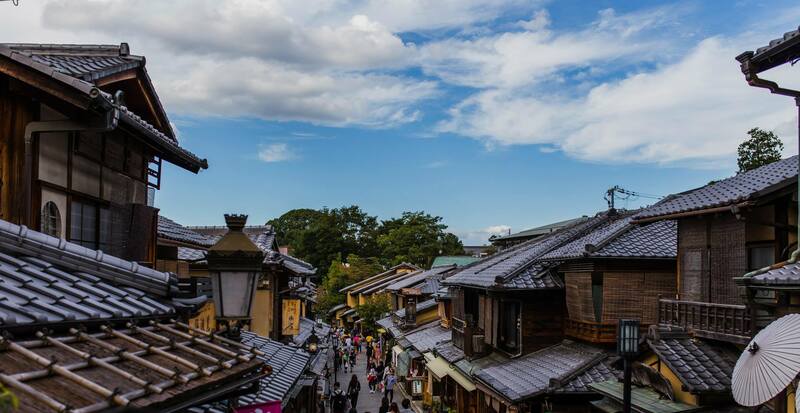 As I’ve mentioned numerous times in this blog series, I adore Kyoto. This book gave me an insight to Kyoto of days gone-by, where the streets of Gion was filled with traditional shops instead of tourist souvenir shops. I also love the sense of history in sights that endured through time in Kyoto, such as the ever-present Kamo River, to the magnificent theatres of Minamiza and Kaburenjo. It makes me appreciate these sights more to know how much they meant to the people of Gion. It’s a bit voyeuristic, but I enjoyed seeing the life behind the walls of ochaya and okiya, which I would never get to see otherwise. As you might know, geiko only entertain the wealthy and well-connected elites of this world. Instead of paying thousands of dollars for the pleasures of an ozashiki, I paid $10 for this Kindle ebook to whet my appetite instead. While I enjoyed the book when I read it, I found it very difficult to remember the content of the book due to the nature of its layout. Iwasaki jumps through life events at an irregular pattern, she would be speaking of her afternoon walks in clear details – then proceed to gloss over an important dance recital. The scenes changed at random intervals, it looks like the book underwent very little editing. Iwasaki documents her life from the time she was three years old, and tries to convince her readers that she decided to leave her parents and become a geiko all on her own… AT THREE! She also details event from this period from her life with startling clarity – one that makes me wonder at the authenticity of these passages. I personally don’t remember anything from my life at three years old, let alone make a huge decision like choosing to be sold to an okiya! It may be a cultural barrier, but I found Iwasaki’s attitude quite off-putting. She striked me as incredibly sheltered and privileged, yet utterly clueless. There’s a passage where she claims she does not fart. Another passage where she commands a junior member of the okiya to rub her feet, and feels no remorse for it. This finally culminates in a scene where she slashes the coat of her lover’s wife, holding more resentment for the woman than for his infidelity. I also found that the writing was very sterile. The book was written as a defence to Arthur Golden’s misappropriation of geisha and their world. Iwasaki mainly showed the world how great she was as a geisha, we never got to see much of her struggles. I felt very disconnected from her. Nonetheless, this book offers a unique insight into a part of the Japanese culture most people won’t have access to. If you’re interested in the karyukai, I would highly recommend this. I also recommend it to those who have read Arthur Golden’s book, to get another (more realistic) perspective on things. Yasaka Shrine lies nestled in the foothills of the Higashiyama Mountains, the chain that flanks the eastern border of Kyoto. The Gion Kobu, to the west of the shrine, is about one square mile in size. The district is crisscrossed by a neat grid of manicured lanes. Hanamikoji (Cherry Blossom Viewing Path) runs through the center of the district from north to south and Shinmonzen Street divides it east to west. 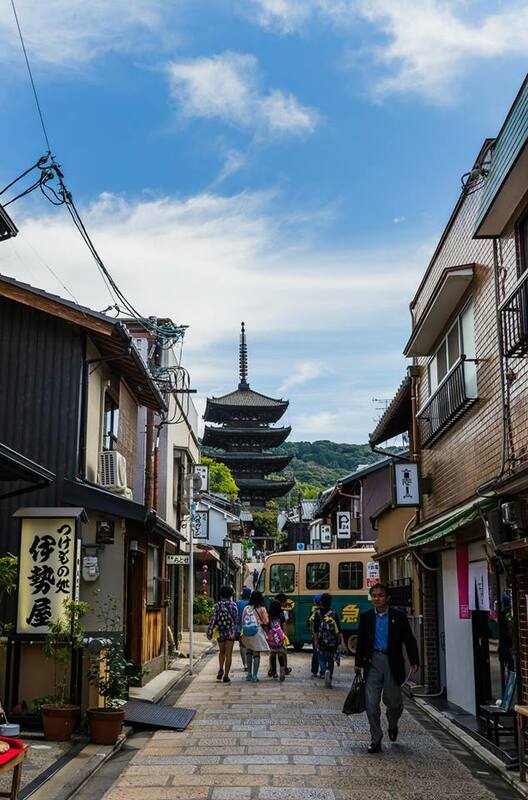 Nestled within the Higashiyama district lies some of Kyoto’s best preserved historical districts. Japan Trip 2014. I love the sight of Yasaka Pagoda, widely touted in travel pamphlets and blog pages as a symbol for Higashiyama. It stands tall, a mark of history and culture against a backdrop of modern electrical wires and wide-eyed tourists. 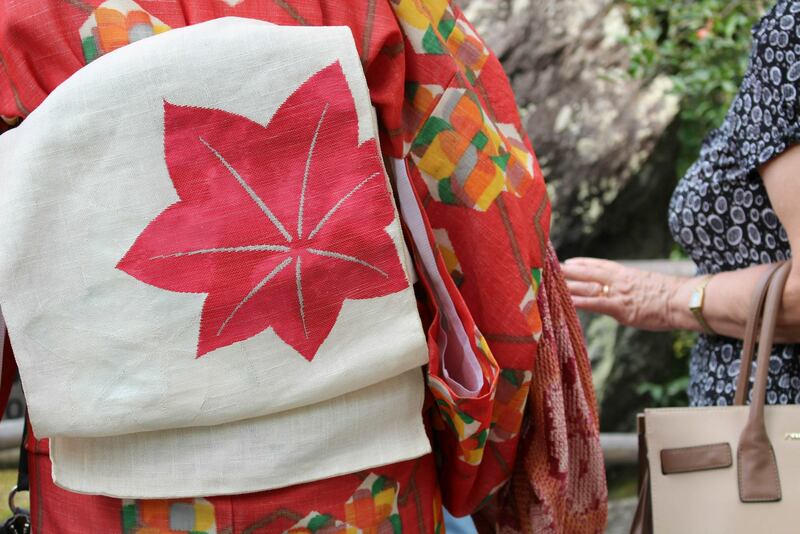 There are loads of kimonos to be seen in Kyoto, it’s little wonder – with rental shops being ubiquitous in the city. I couldn’t tell which wearer were native Japanese and which were tourist! I liked seeing personality it added to the hubub of people, and hey – it could hardly be cultural appropriation if the Japanese themselves endorse it?! I hear ladies get to ride Kyoto’s buses for free if they’re in kimonos. What are your thoughts on tourists dressing up in traditional garments of another country? And in the canal is cold, clear water, water that comes down from Lake Biwa in the north. 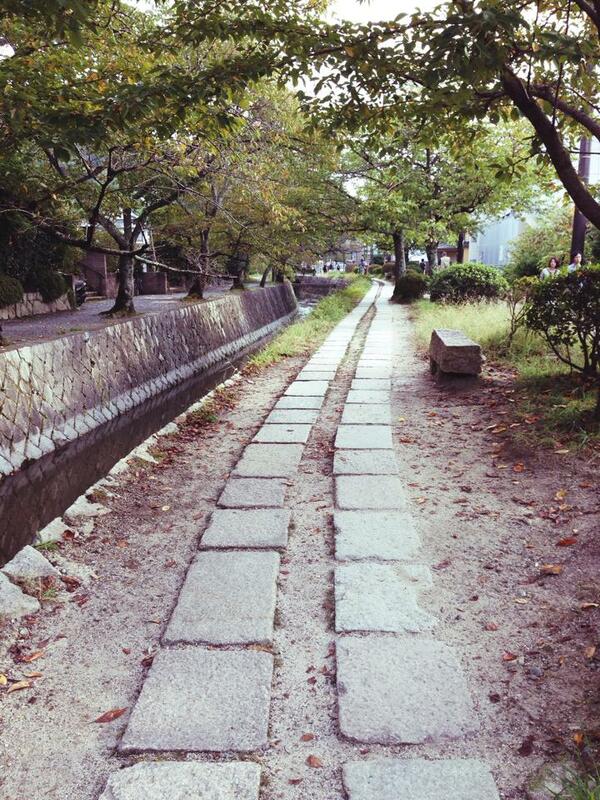 The water rushes through the canal as it flows towards the Nanzenji aqueduct. It courses through the aqueduct, past the miles of cherry trees lining the banks, and then down into the main waterway of Kyoto. It continues past the zoo and the Heian Shrine, runs along Cold Spring Avenue, and finally empties into the Kamogawa River, where it streams towards Osaka and out to the open sea. This stream of water is ever-present in Kyoto, through the Kamo River, the Shirakawa stream, and in the canal that rushes pass Philosopher’s Path and its surrounding temple. My friends and I wandered aimlessly down Philosopher’s Path one quiet afternoon, discovering hidden temples along the way. Due to our poor planning, we arrived at closing time and most places were deserted. We also did not know the name of most of the places we visited, and had to Google it when we got home (fail, I know, but the reverse engineering of our trip was sort of fun!). Philosopher’s path is a charmer, lined with arts and craft stores, such as the ones advertising via the teddy bears above! There also seems to be a small community of stray cats along this walk, I still wonder about the fate of these animals – and hope to see them again this year! I love the photos from your trip last year so much! 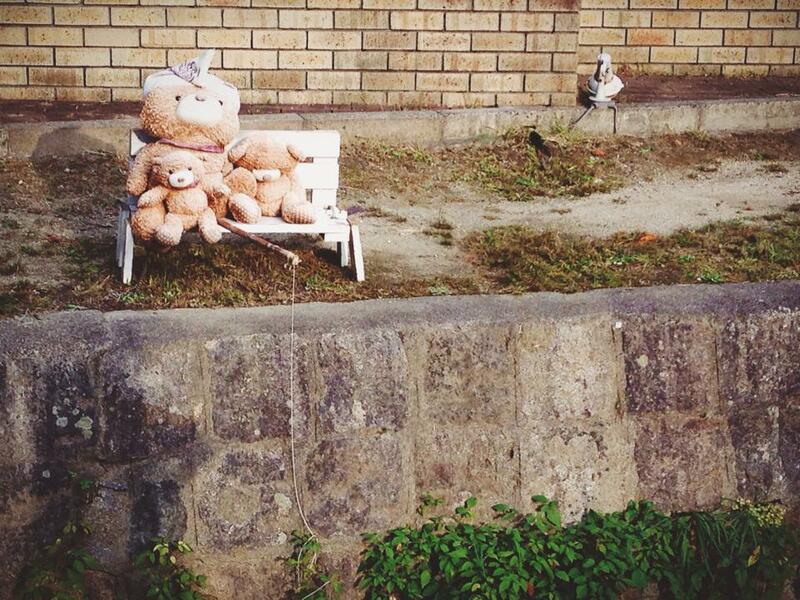 Those teddy bears are adorable! I hope you’re having fun right now. I think I’d be completely frustrated by all of the negatives you pointed out if I was reading this book. She seems extremely hard to relate to. I mean, I fart all the time. No shame. XD It sounds like she really endorses the Geisha lifestyle, and while I do think it’s kind of glamorous and I like seeing everything that goes on behind the scenes, I want to hear about the struggles too. 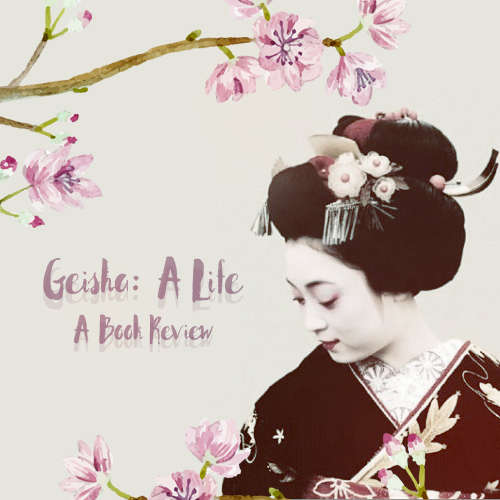 I love Memoirs of a Geisha and I have been debating picking up up this book. Thanks for such a great review! I hope the last parts of your Japan trip are wrapping up nicely and that you took a lot of beautiful pictures. I love your photography! This sounds like an interesting read, but I have to say I’d probably not pick it up because of your first point in the dislike section. I have a hard time with memory as it is, so I know I’d struggle with it.